View of Elusa trash mound. Image courtesy of Guy Bar-Oz. (Inside Science) -- By examining the literal dustbins of history, archaeologists have now shed light on how a 125-year "little ice age" might have wreaked havoc on the Byzantine Empire -- an example of how climate change might influence human civilization. Although the Roman Empire is often said to have fallen in 476 A.D., that was only the end of its western part. Its richer, stronger eastern half continued as the Byzantine Empire for almost another thousand years until it fell to the Ottoman Turks in 1453. The Byzantine Empire lost a great deal of territory in the sixth and seventh centuries, a decline often linked to Islamic conquests. However, recent findings have fueled a debate over whether the "Late Antiquity Little Ice Age," which started about 536 A.D. after volcanic eruptions dimmed the sun, helped set the stage for Islam's rise and trigger a plague that dealt a major blow to the nascent Byzantine Empire. Archaeology has until now been largely left out of the debate over the role that climate change has played in human history, said study lead author Guy Bar-Oz, an archaeologist at the University of Haifa in Israel. The ancient sites that archaeologists investigate are frequently complex jumbles of structures built over and often destroying their predecessors, making it difficult to precisely judge how climate might influence them over time, he explained. 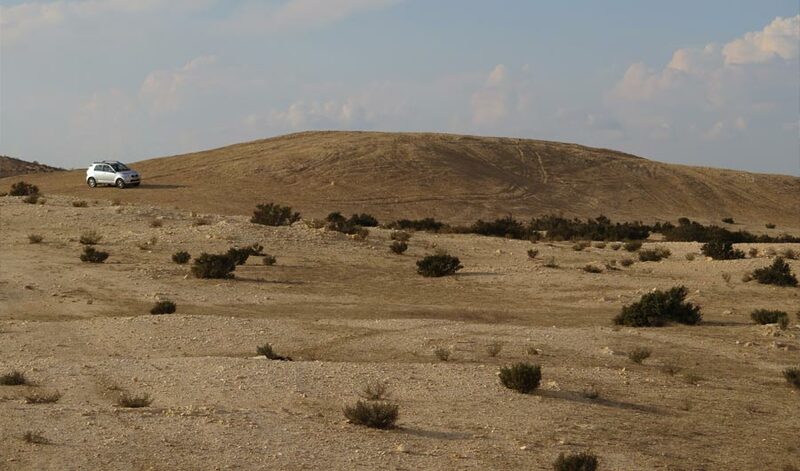 In 2015, Bar-Oz and his colleagues found a potential way for archaeology to examine climate effects when they began examining a mound full of stove ash and construction debris outside the Byzantine city of Elusa in the Negev Desert in what is now Israel. They discovered it was the city's largest trash mound, and had the eureka moment that such landfills could represent a stable, continuous record of human activity over time, since they were not subject to the constant renovation that cities often experience. The scientists excavated four mounds surrounding Elusa. The city was the capital of the province of Palestina Salutaris, and the hub of a network of seven smaller settlements and hundreds of scattered farmsteads. "By our estimates of the scale of trash accumulation that were obtained with a combination of analyzing drone images, ground surveys and excavation in the mounds, the city was accumulating about 6,000 cubic meters of trash per year," Bar-Oz said. "If you look at modern estimates of trash accumulation, this figure is not that far off from the volume of trash that we produce today in our modern hyper-consumer societies." The researchers estimated the age of each layer of the mounds using radiocarbon dating of charred grape seeds and charcoal. They also examined coins, potsherds and glassware shards, which they dated by analyzing their designs. "The grape seeds tell the whole story of the region," Bar-Oz said. The grapes were farmed in nearby villages, supplied to and consumed within the urban core, and -- judging by ceramic pieces of wine jars found in the mounds -- were used in large-scale wine production that ultimately supplied such far-off regions as Spain, France, Italy and Britain, he explained. Although the scientists recovered a bounty of ceramic sherds from the early and middle Byzantine periods, roughly 350 to 550 A.D., they found significantly fewer sherds from later periods. There was no trash dating later than the mid-sixth century. Bar-Oz cautioned that climate does not singlehandedly explain everything in history. Instead, climate disruptions could make societies more fragile. "They show archaeologically that there is a certain limit to resilience, a certain threshold past which a city or region collapses," said historical geographer Ronnie Ellenblum at the Hebrew University of Jerusalem, who did not take part in this research. Although the Late Antiquity Little Ice Age's main impact was likely far north of Elusa, the city likely suffered because it depended on international trade, Bar-Oz said. The age of the Roman and Byzantine Empires was "the first time in history when something happening in one part of the world could affect events in other parts that were as far from it as thousands of kilometers," Bar-Oz said. If an extended series of exceptionally cold winters reduced agricultural production in northern Europe, and population dropped in the Byzantine capital of Constantinople due to plague, the ensuing crises might impact even faraway outposts on the margins of the empire. The collapse of Elusa due to its dependence on international trade "is an important lesson for those grappling with the modern question of building more resilient societies," Bar-Oz said. "The stronger, more developed and stable core regions have to keep in mind the resilience of less developed co-dependent regions." These findings suggest that archaeology may have more to say about climate change. "The issue of climate impact on society is very relevant for us today, and clearly a very controversial and provocative issue," Bar-Oz said. "Researchers like myself and others that are interested in historic societies certainly have a say in the current debate about our global future because we bring back the lost lessons of the past." The scientists detailed their findings online March 25 in the journal Proceedings of the National Academy of Sciences.